I'm happy to report that Bitter Envy has been in hot & trending every day since launch on May 26. But as time progresses, I have to work harder and harder to keep it there. I've been posting in a lot of groups on Facebook-- if I've annoyed you, I sincerely apologize-- go enter my $25 Amazon gift card giveaway! I love the cover Amanda designed for me, and I think it really pops in thumbnail size. Not 100% sure about my blurb though. I wrote it in first person to give it an edgy YA feel, but that isn't the norm, so I hope it doesn't end up biting me. As I round the corner, my heart slams into an erratic beat. Donovan is leaning against my Camaro, and there’s no Jack in sight. Though the sky is overcast, I consider digging out my sunglasses. But that would be cowardly. I chased away one of Uriah’s hired goons with little more than a flare of magic and a scowl… I can certainly face Donovan head-on without getting lost in his eyes. Donovan nods but doesn’t say anything as he pulls out a small RF detector from his backpack. I watch in silence as he sweeps the interior of the car for electronic devices. After several minutes, he tosses it back into his bag before leaning back with a heavy sigh. “Well, I was planning to take you to see High Priestess Rowena this afternoon. Sound good?” he asks while caressing my knuckles with his thumb. I bite back a sigh, unwilling to share just how good his thumb feels on my fingers. “Yeah, that’d be great.” My relief from his statement comes out in a slight giggle. “I don’t giggle.” Of course another giggle belies that statement. My question comes out in a breathy whisper. He’s close enough to kiss… all I have to do is lean forward an inch or two and close the distance. His hand moves to the back of my head, his fingers entwining in the hair at my nape. “I don’t know,” I reply in a choked whisper. He just put into words everything I’d been feeling for the last two weeks. The moment I nod, my cell rings—the opening riff to “You’ve Got Another Thing Comin’” by Judas Priest. Uriah’s ringtone. Jack programmed it in last week as a screw you to the spider shifter. It’s the last thing I want to hear at this moment. “It’s Uriah,” I say, clenching the phone to the point of pain. “Ah, my precious Angel, I have wonderful news.” Uriah’s voice oozes syrupy saccharine. I flinch from his words. Wonderful news for him is always devastating for me. He disconnects the call. I stare at the phone clutched in my hand in silence. Another assassination. Is this one legit, or will I kill another innocent man? What choice do I have? It’s this criminal or something so much worse. Hot tears prick my eyes as the memories threaten to surface. So many lost lives… all because I said no. “Envy, are you okay?” Donovan asks, breaking my trance. “Um, yeah. Fine.” My light sniffle betrays my true emotions. “I’d appreciate that.” Not that I have a choice either way. It’s him or… well I simply can’t deal with the alternative. “Father, what do you know about one Alfonse Dupree, works for Heinrich?” Donovan puts the phone on speaker, and his father’s voice fills the car. I’m struck silent for a moment as I contemplate the atrocities this madman committed. How many innocent souls died at his hands? “What a relief,” I finally manage to blurt out. “No one is more disappointed than I am, my lord,” I reply, trying to control the rising anger. Yelling at Tiberius won’t help my situation at all. “As you can imagine, based on what happened with Alexander, Envy is a tad reticent to follow Uriah’s orders without confirming the intel,” Donovan says, cutting through an awkward silence. I close my eyes as a wave of nausea washes over me. Alexander was innocent, and I killed him. His poor family… how can I ever atone? He disconnects the call before I can comment. I really wish I didn’t need his help, but I can’t afford any pride right now. 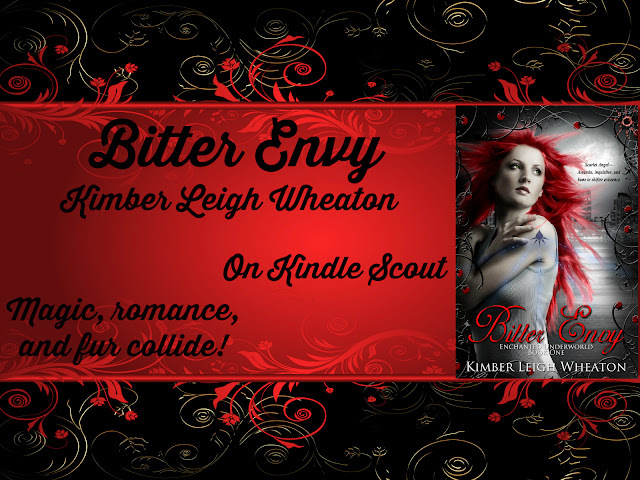 If you haven't already, please consider nominating Bitter Envy on Kindle Scout!